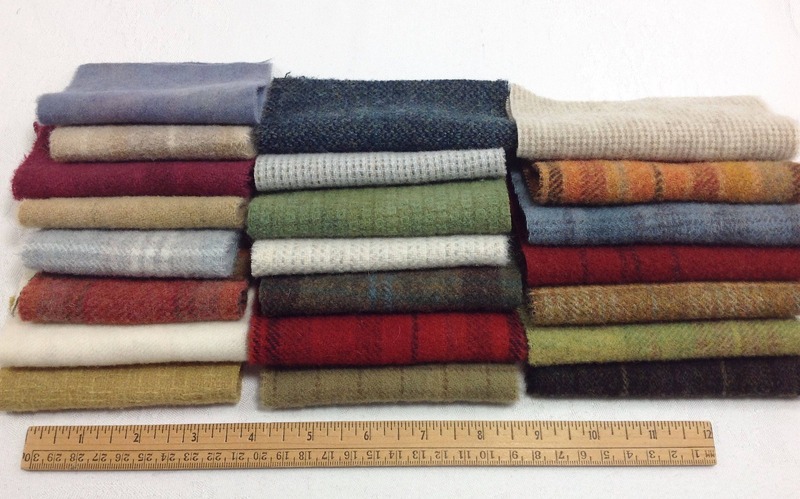 A collection of hand dyed and mill dyed wool fabrics, all have been washed and/or hand dyed by me and are perfectly ready to use for making small wool treasures! There are 22 pieces ranging in size from about 3.5" x 4.5" to the largest, 5.5" x 6.5", a few the rest are somewhere in between. (See photos with ruler). 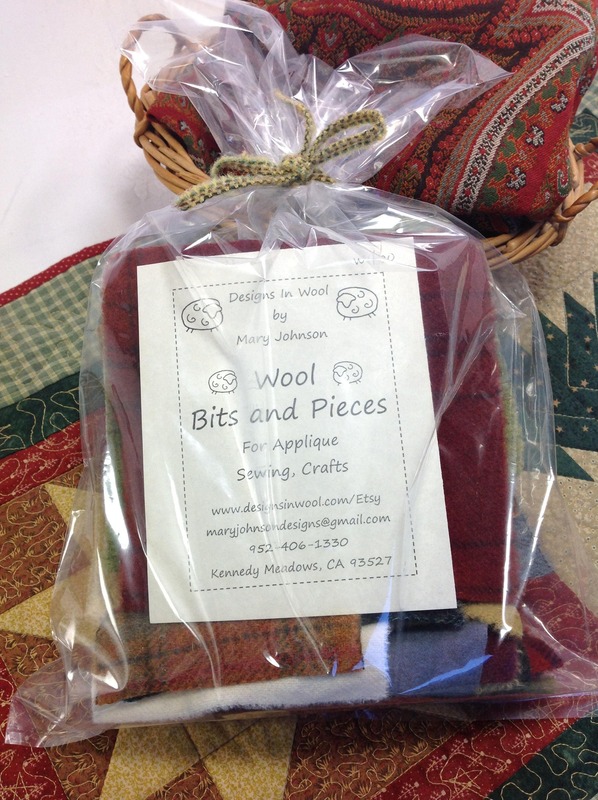 Bits and pieces gathered from my projects and kits, they are perfect for appliqué, quilting and wool crafting. The 4th photo shows how it is packaged. 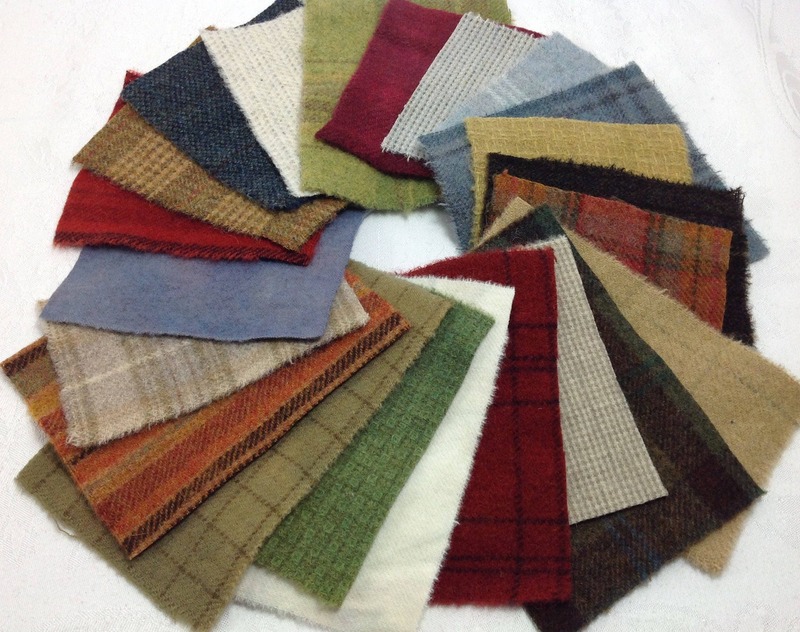 A great mix of textures and colors including red, green, blue, gold, darks, lights, and neutrals. 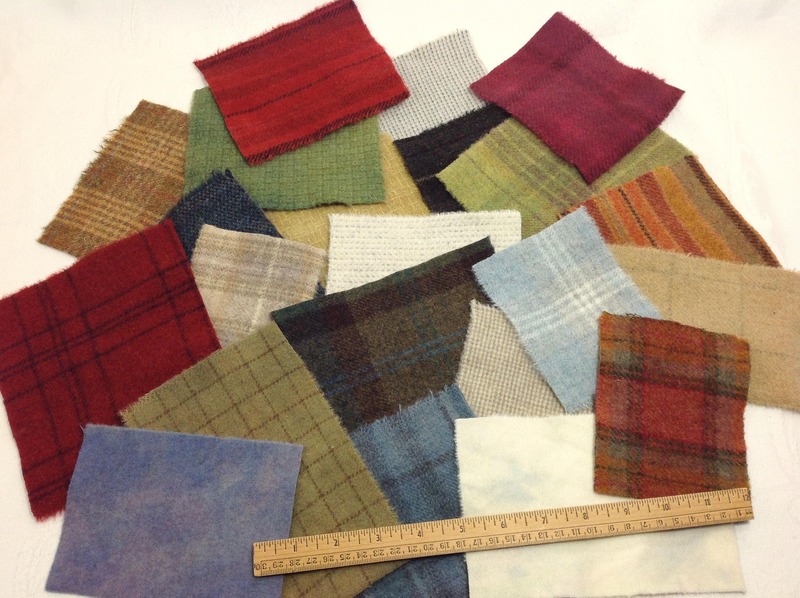 All are medium weight and will work well for appliqueing, quilting, sewing and crafting. Use for pincushions, pin keeps, make dos, purses, thread and needle cases, pouches, table runners, candle mats....oh so many ideas! Not recommended for use in rug hooking as they are too small. shipped promptly - pretty wool pieces. thank you!